With HBO’s programming slate growing and the battle between networks and streaming services getting only more intense, the network will soon start shifting some original scripted series to Monday nights. The prime-time expansion will begin with the limited series “Chernobyl,” scheduled to premiere in May. Other shows appearing on Monday nights during the rest of the year include the final season of the drama “The Deuce,” a limited series about Catherine the Great starring Helen Mirren and a new series adapted from Philip Pullman’s His Dark Materials books. There will be two hours of prime-time scripted series on HBO most Monday nights. The reason, said Casey Bloys, the network’s president of programming, is simple. “There’s obviously only so many Sundays in a year,” he said in an interview. Consider this statistic: This year, HBO will have 150 hours of original scripted content, a 50 percent increase from last year. Mr. Bloys said he anticipated that number would rise again in 2020. It’s a volume play for a network whose biggest hit ever, “Game of Thrones,” is three months away from going off the air. Later this year, HBO will debut a much-anticipated drama based on the comic book series “Watchmen” and adapted by the “Leftovers” co-creator Damon Lindelof. The network also has science-fiction series in the pipeline — one from J. J. Abrams and another from the “Avengers” director Joss Whedon — in addition to a “Game of Thrones” prequel. All of this is set against a backdrop in which its digital rivals like Netflix are spending with abandon and picking off big-name Hollywood talent like Ryan Murphy and Shonda Rhimes. Apple is spending well over $1 billion on its own original content, which will roll out at some point this year. 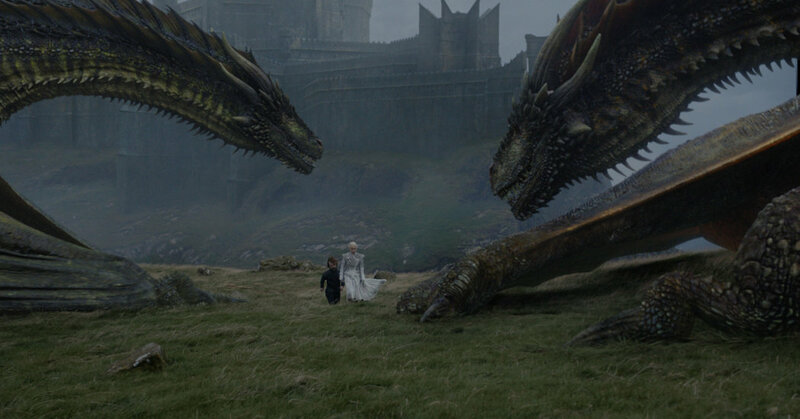 Though the expansion to Mondays is a big change for HBO, the move is largely symbolic. Most of HBO’s viewership comes well after an episode’s original air date. Five years ago, 35 percent of the total viewership of an episode of “True Blood” was logged on Sunday night, Mr. Bloys said. In 2017, only 10 percent of the viewership of “Big Little Lies” watched on Sunday night. This year, 18 percent of the viewership for “True Detective” has come from Sundays, a percentage that will decrease as more people watch the show on demand or on HBO Go or HBO Now. HBO has toyed with Monday nights before. In 2005, the final season of “Six Feet Under” was briefly moved to Monday nights before low ratings prompted executives to put it back on Sundays. The first season of “Enlightened” (2011), the third season of “Bored to Death” (2011) and the second season of “Big Love” (2007) also aired on Monday nights. But those were exceptions. This time, HBO said, is different. He said he and Richard Plepler, the chief executive of HBO, had enacted a plan two years ago to increase the content the network made, a costly but vital move at a time of digital subscriptions and fierce competition from deep-pocketed streaming rivals like Netflix. It was a calculated bet: HBO had a deal in place to be bought by AT&T and hoped its corporate overlords would agree with their plan when they took over. “The good news is AT&T understood and endorsed the plan to spend money, and going forward into 2021, 2022, we’re going to keep that level of programming up,” Mr. Bloys said. He declined to say how much AT&T had invested in HBO since it became its corporate owner in June. Other premium cable channels with digital subscription services, like Showtime, have also emphasized the importance of having fresh original programming 52 weeks a year. That way, the thinking goes, when a major hit finishes a season, subscribers will have less reason to cancel their subscriptions. Even with additional content, HBO’s original programming slate pales in comparison with Netflix. Last year, Netflix earned more Emmy nominations than HBO, snapping HBO’s 17-year streak of garnering the most. They ultimately tied in Emmy wins. But Mr. Bloys emphasized that HBO was not going to grow at the scale of Netflix. HBO has long prized its ability to nurture new talent and be generous with established stars. Some of that talent, however, could perceive a move to Monday night as a signal that their shows are second tier. Mr. Bloys said all shows on the network would receive the same amount of marketing support no matter what night they aired.